What are the dimensions ?? Hi Gerry! The dimensions for this bag are 16x10x23" with the handle extended it is 38"
how many balls will this hold? It will store 2 balls for it is a 2 ball roller. 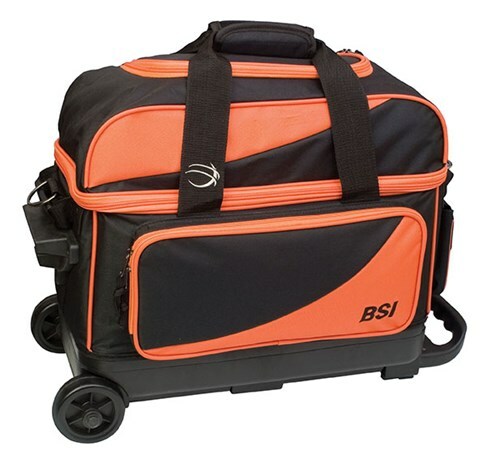 Due to the time it takes to produce the BSI Prestige Double Ball Roller Orange/Black ball it will ship in immediately. We cannot ship this ball outside the United States.